We fight to protect motorcyclists’ rights and interests at a governmental level! Formed in 1960 against 'tabloid press tales' of 'leather jacketed hooligans racing around our streets', the Federation of National and One Make Clubs (FNOMC) was established. In 1965 the British Motorcyclists Federation (BMF) was formed to represent all motorcyclists. The BMF's successful lobbying defeated such ill-conceived ideas as leg-protectors and the 100bhp limit restriction. - A member of government advisory groups. - A well respected and powerful lobbying Group. 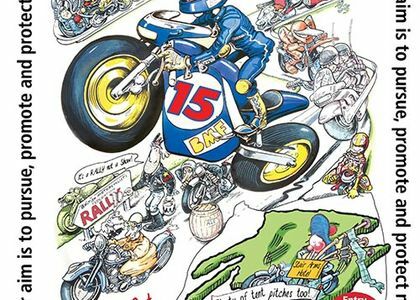 As a member you will be part of an organisation with over 80,000 members made up of individual members and affiliated clubs making the BMF a powerfull voice in campaigning to safeguard the rights of motorcyclists. In addition a range of member benefits can quickly repay your membership fee - befefits such as preferred insurance rates, hotel and ferry discounts, touring advice and even our own Visa credit card to help you pay for it! Member's receive the BMF's bi-monthly magazine 'Motorcycle Rider' with the latest road tests, interesting articles and campaign news. The BMF also has a large number of Corporate Members drawn from all corners of the motorcycle industry who support the bmf in all that we do. 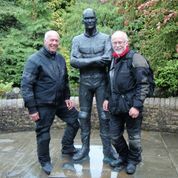 By becoming a member of the BMF you will be helping to fund an organisation that represents the interests of YOU and YOUR fellow motorcyclists. The British Motorcycling Federation (BMF) was formed in 1960 and is now the UK’s largest motorcycling organisation. 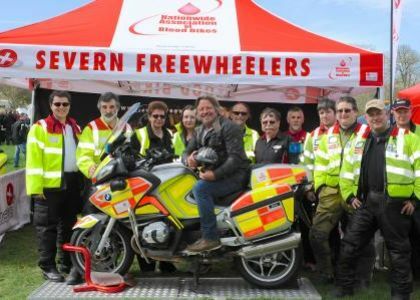 The BMF is united by a love of motorcycling, and aims to represent its members by safeguarding their rights on and off the road. Providing over 80,000 members with benefits such as preferred insurance rates, touring advice, discounts, our bi-monthly magazine ‘Motorcycle Rider’ and our own Visa credit card. Membership costs £26.00 (£32.00 for joint membership). You can pay via Paypal or Direct Debit, saving money on renewals. As a member you will be part of an organisation with over 80,000 members made up of individual members and affiliated clubs making the BMF a powerful voice in campaigning to safeguard the rights of motorcyclists. In addition a range of member benefits can quickly repay your membership fee - benefits such as preferred insurance rates, hotel and ferry discounts, touring advice and even our own Visa credit card to help you pay for it! Member’s receive the BMF’s bi-monthly magazine Motorcycle Rider with the latest road tests, interesting articles and campaign news. Read more about Motorcycle Rider magazine. Save money with AFerry.co.uk, Perkins Slade – Euro Plus, Weekend leisure breaks (Crowne Plaza, Holiday Inn and Express by Holiday Inn hotels across the UK, Europe and the Middle East), Bike-Astur Motorcycle Tours, Scotlandbybike.com, Moto-Abruzzo (Italy), Cotswold Outdoor, www.motoursonline.com, Nutt Travel, BMF Rider Training, RAC Motoring Services and more. Many people are affiliated BMF members through their club, but only individual members receive Motorcycle Rider magazine. Why not become a full member, receive the quarterly magazine and, in so doing, help support riders’ rights by funding the British Motorcyclists Federation. 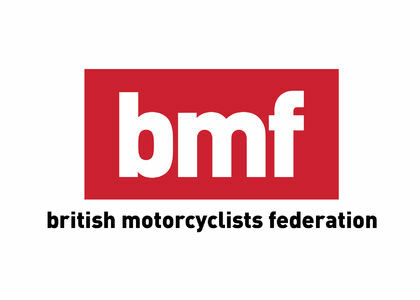 As a member you will be part of an organisation with over 80,000 members made up of individual members and affiliated clubs making the BMF a powerful voice in campaigning to safeguard the rights of motorcyclists. In addition a range of member benefits can quickly repay your membership fee - benefits such as preferred insurance rates, hotel and ferry discounts, touring advice and even our own Visa credit card to help you pay for it! Member’s receive the BMF’s bi-monthly magazine ‘Motorcycle Rider’ with the latest road tests, interesting articles and campaign news. As well as paying the BMF a generous commission for each new policy taken out and each policy renewed, Bikesure will donate £1,000 to a charity of the Federation’s choice once 100 members have taken out new policies via the dedicated phone number into the broker’s UK-based call centre. CALL 0800 587 2955 TO SAVE! A combined travel and breakdown insurance, which covers Continental Europe and extends to the Azores, Balearics, Egypt, Morocco, Russia, Tunisia and Turkey*, including the UK part of your journey. *Please note that breakdown cover is limited to Continental Europe only and excludes these countries. Single trip or annual cover available. Apply for cover from our brokers Perkins Slade on 0121 698 8027. Please apply at least five working days before travel. Enjoy 25% off over 400 participating Crowne Plaza, Holiday Inn and Express by Holiday Inn hotels across the UK, Europe and the Middle East. To book from the UK, call 0870 400 8135 and quote ‘exclusive rate’. To book from the Republic of Ireland, call 1 800 55 31 55. Terms and conditions apply and will be advised at the time of booking. Whether you’re into touring or just enjoy a blast on a track day, we’ve got you covered at Cotswold Outdoor; from GPS to technical base layers keeping you dry and comfortable in your leathers. Cotswold Outdoor Stores now offers all BMF members 10% discount. (T&Cs apply). The Best Rides Motorcycle Atlas - it’s about the journey! Find great rides and routes with the help of this waterproof and tear-proof atlas, which highlights more than 300 of the best rides in the UK. As a special offer for BMF members, Mapsman will donate £3 to the BMF fighting fund for every atlas bought by BMF members, and furthermore BMF members will receive free postage and packing worth £1.94. 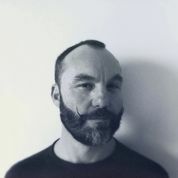 For more information, please visit www.mapsman.com or call us on 0800 2300 265. No matter what machine you ride, from moped to superbike, the BMF has a suitable course for everyone: CBT, Pre-test, Direct Access, Rider Plus refresher course and Blue Riband Advanced Rider. To find out more, please contact our Membership Department on 0116 2795 112. In partnership with RAC, a special offer of 50% off RAC Breakdown Cover from £28.75 is available to members. To save 50% this year and 25% every year you renew, please contact our Membership Department on 0116 2795 112 for further details. 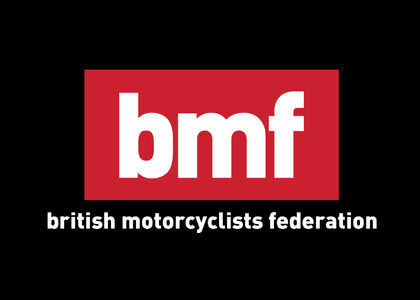 The BMF represents the best interests of UK motorcyclists whatever they ride. We lobby government and work with government departments and local authorities in order to get the best deal for motorcyclists. 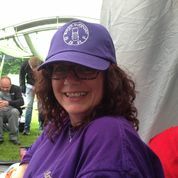 We also have a Regional network of volunteers across the UK all working on your behalf. To get involved in any aspect of the BMF’s political work, contact your Regional Chairman or call the BMF campaign office on 0116 279 5112. Clubs are broken into two areas: local clubs and national (and one make) clubs. Affiliated clubs benefit from a special public liability affiliated package, and their members enjoy many of the advantages offered to individual BMF members. 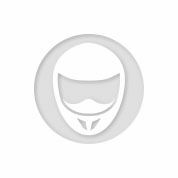 As a BMF Affiliated Club, you get 50% discount for hosting your own club page here on Motortourer.com so long as you are an affiliate of BMF. 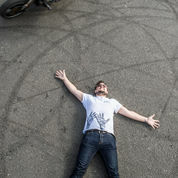 All you have to do is create your own free, user profile on Motortourer.com and then go to motortourer.com/clubs and follow the easy steps to create your club online and invite other club members! BMF affiliation to the Sport and Recreation Alliance means our Affiliated Clubs automatically participate in their unique Civil Liability protection scheme. Details of which may be found in our information sheet “Civil Liability Protection“. Since 2010 we also have included Employers Liability Cover and further details of this can be found in the same information sheet. Equipment and spares cover is also available at excellent rates. Details of this can be obtained from Perkins Slade on telephone number 0121 698 8160. National and One Make (NOM) Clubs can send representatives to these meetings, that take place at regular intervals through out the year, and can, through this forum raise concerns which they have at both national and local levels and obtain assistance from other Clubs / BMF in dealing with them. Local Clubs send representatives to these meetings and can, through these forums raise concerns which they have and obtain assistance from other Clubs / BMF in dealing with them. Clubs, as part of their affiliation receive, dependent on size, a set number of subscriptions to the BMF magazine Motorcycle Rider. These are mailed to members nominated by the Club. All National and One Make Clubs are entitled to send delegates. This is our annual get together so is an opportunity to hear first hand what is going on at the BMF and to discuss with other clubs what is happening with them The number of votes each clubs get depends on the numbers of members they have, but they can send observers so no one will ever be turned away! Tea and coffee will be provided but please bring your own lunch. Helmets off or helmets on while filling up? Always leave mine on, even though now it is an ordinary one, not a flip front as I used for many years. Wire rope barriers? Good or bad? What do you think of wire rope barriers on motorways? Do they worry you? Cheese slicers? I think not a good thing. But I am not sure they are better or worse than the solid metal bars. They are not a good choice. However, in many situations a barrier down the middle of the road dividing the traffic flow makes the overall road safety situation better by a factor of 6-8. In the ideal world governments would always install the least bad barrier which today most highway engineers agree is the smooth concrete type. 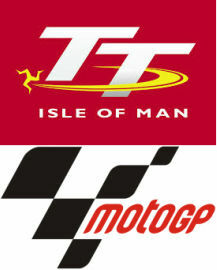 IOM TT or MotoGP - which is better? I'm ashamed to say that I've never been to a MotoGP before, but watch it from the relaxed comfort of my armchair. However I have had the pleasure of going to the IOM TT twice now. It may sound like comparing chalk and cheese, but for exciting racing (and provided you can get a spot close to the track) the IOM TT wins hands-down. Although I am happy to be disproven. I do like being able to see the whole of the race on the GP though. It's a pity about Peterborough no longer being on, but are there any plans to make another motorcycle show/event like this? I'd love to come if so! How Safe Are Driverless Cars? 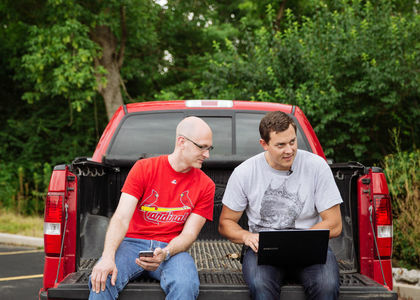 a team of hackers prove how "easy" it is to take over the brakes, steering and overall control of a Jeep. We trust a lot in wireless technologies and computers and each time we get into a plane we are putting our lives in the hands of a million little components - sometimes manufactured by the lowest bidding contractors - and whacked together into an aircraft. We seem ok with this in general. But now we're seeing the emergence of these driverless cars on the road - which can potentially put other drivers (and bikers) at risk. I don't say we shouldn't allow them, but the onus is upon manufacturers to ensure our safety on the road.